The boards at Reagan National Airport are filled with cancellations for both arriving and departing flights because of both current conditions and what is expected. WASHINGTON — Talk about the white stuff. 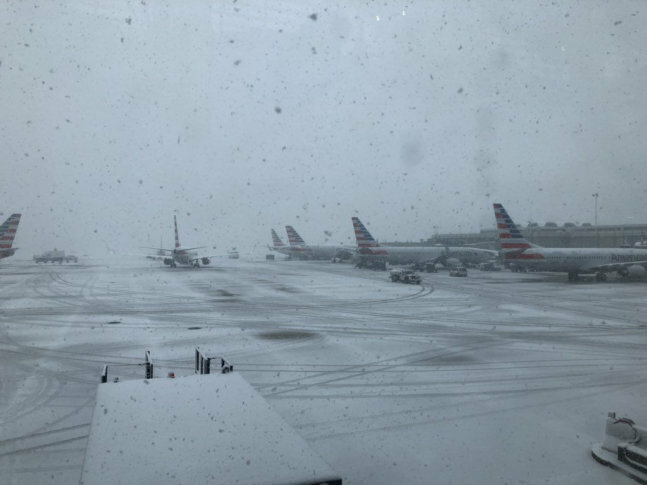 Snow and wicked weather in the forecast is keeping hundreds of flights in the D.C. region from spring-ing anywhere Wednesday. As of 11 a.m., over 165 flights out of Reagan National have been canceled. At BWI Marshall, more than 125 have been canceled. And nearly 100 have been canceled out of Dulles International. All three airports are urging customers to check with their airlines for delays and cancellations. Customers can also track the status of flights to and from any of the local airports with FlightAware. Travelers at Reagan National have been carefully watching the flight boards, even as crews work to plow snow on the tarmac and de-ice planes. Though he thought the snow made for some picturesque scenes, he’s scared about being stuck in the area. Mark Barnes is flying back home to St. Louis via Charlotte, and he was “very relieved” to find his flight was on time. “I was concerned hearing the weather forecast last night,” he said. “I can only hope that there are hotel rooms nearby that are still open, and that my wife will be supportive back home,” he joked. Eric Clarke is trying to get back to Atlanta. His flight was canceled Tuesday in Harrisburg, so he drove to BWI Marshall for another flight, but that ended up being canceled, too. “They said if I got down to Reagan I could fly out by 10 this morning,” Clarke said. But his flights at 10 a.m., 2 p.m. and 8 p.m. were canceled. This is the fourth nor’easter in three weeks to move through the winter-weary Northeast. On the first full day of spring, it is packing high winds and the potential of dumping a foot or more of snow from West Virginia to New England. 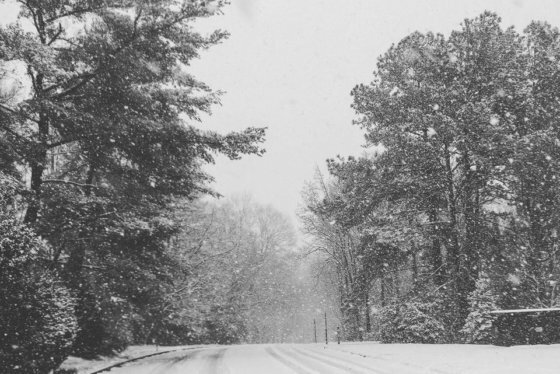 The National Weather Service said the storm was expected to kick into gear in the mid-Atlantic by late Wednesday morning, then head north to New York and New England. But forecasters noted that the storm had sharp gradients that could cause several inches to fall in some spots, while nearby areas could see much less accumulation. “It’s definitely a tricky forecast,” said Dan Petersen, a meteorologist with the National Weather Service’s Weather Prediction Center in Maryland. WTOP’s John Aaron and The Associated Press contributed to this report.